"I expected it to take a couple days, actually, to do the roof, but those guys got on that roof like lightning, and they were non-stop." "All the guys that were here, the men just did nothing but work. The guys started from early in the morning until later in the evening and they were non-stop, they were very, very good. I had no problem communicating, like I said, whenever I asked a question it was answered immediately, and it was answered to my satisfaction, which is the only one that counts in my opinion." "I had no problem communicating, like I said, whenever I asked a question it was answered immediately, and it was answered to my satisfaction, which is the only one that counts in my opinion." "The professionalism of the salesman that came down, her was very knowledgeable, and he answered all my questions to my satisfaction, that was the major reason; and the pricing was good. 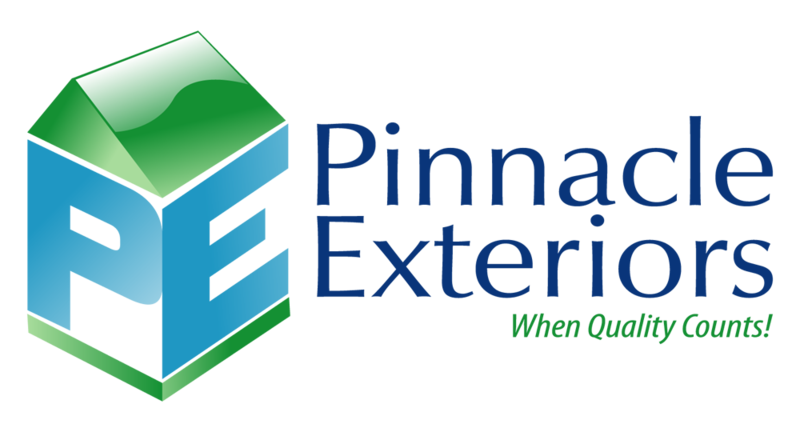 There were cheaper prices out there, but there was also cheaper products to go with that price, so that's why I chose Pinnacle." "You put the entire roof on, breezeway and garage roof, and it took one day and I couldn't believe it. That timeline was great, they were on top of things constantly, and they've been on top of things since the jobs been completed, I haven't just been a "well your done, I'll see you later", they followed up with how was the job done, were they very professional, and they were. All the guys that were here, the men just did nothing but work." "The cleanup wasn't bad. Of course you always have a nail here or there, that goes to say, but it was a good cleanup." You put the entire roof on, breezeway and garage roof, and it took one day and I couldn't believe it. "I found them on the internet, and I was reading the reviews, and they all look favorable. So that's why I gave them a call to give them a chance at pricing this job out. The professionalism of the salesman that came down, her was very knowledegable, and he answered all my questions to my satisfaction, that was the major reason; and the pricing was good." See what other customers from Macungie say about us!